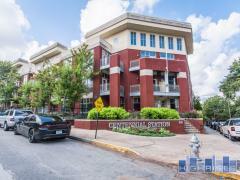 Central City offers 88 one and two bedroom condos with nine different floor plans. Condos range in size from approximately 750 to 1,050 square feet. Located in the Old 4th Ward, Central City’s 10' finished ceilings, granite countertops, garden tubs and walk-in closets make this property a must-see. Here, you’re close to restaurants, culture, and parks. Have any comments or questions about Central City? Ask your question and/or share your thoughts about this Building.